In 1972, Barun Technology was founded as a KDC trading company when the term, IT, was unfamiliar. It has grown up with a myriad of Korea’s first’ and ‘the world’s first’ products. It started supplying modems as the first data communication company in Korea in 1972 and first localized a 1200bps modem in 1980. At that time, it achieved import substitution effect corresponding to over 500 billion won. It has dominated the Korean communications and network equipment market through the sustainable development of products: the Korea’s first multiplexer in 1983, the Korea’s first Data Control Unit in 1985 and the Korea’s first Frame Relay switcher in 1995. 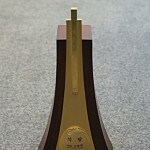 As a result, it was awarded the Presidential prize for its contribution to the development of the Information and Communications Industry in 1998. Furthermore, in 1988, its Dacom DLS network construction project also led to its first network integration (NI) project to build most of Korea’s ICT infrastructure networks including public, financial, and educational sectors. 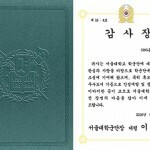 In 1996, it also won the honor of the first company listed on KOSDAQ established as an independent stock market. There is a saying that goes: “All roads lead to Rome”. Rome had been the world’s strongest country for a long time due to the infrastructure, ‘Road’, created by Rome. The largest infrastructure in the era of the fourth industrial revolution represented by the hyperconnected society consists in networks. With a deep understanding of Information and Communications Technology (ICT) accumulated over 50 years and the support thoroughly provided by our 10,000 sites and 13 maintenance organizations nationwide (Seoul, Busan, Daegu, Gwangju, etc), we will carefully protect your ICT network assets. The history of the IT industry in Korea is the history of Barun Technology. We Barun Technology will grow into a Korean leading company in the ICT industry through our continuous innovations and challenges, from ‘Korea’s first’ to ‘the world’s first’ products. Branches: 13 locations including Busan, Daejeon, Daegu, Gwangju, Jeonju, Jeju, etc. 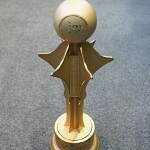 Please pay attention to Barun Technology pursuing the motto, “First and Best”. Thank you for visiting our website. We deeply appreciate your interest and encouragement. In 1972, Barun Technology was founded at the dawn of the information and communication industry in Korea. Since then, with constant technology innovation and market development, it range has been leading the national backbone telecommunication network construction projects such as localization of various communication and network equipment, public and financial sectors, etc. It has shown its remarkable growth in the shortest period of time since it took its first step towards the 3D display and digital space industry. As a result, it has grown into the oldest comprehensive ICT company in Korea. Barun Technology led the Korean network SI market in the 70s and 80s. It has the honorary title of IT Talent Academy since it has produced numerous talents in the field of information and telecommunication. Barun Technology takes great pride in producing CEOs and highly skilled engineers who are currently working for leading IT companies in Korea. This is because they are either from KDC or from our partners that has grown together. We are not satisfied with becoming ‘First’. With our constant innovations and creative challenges, we will try to become Korea’s ‘Best’ company which can last for over 100 years, We will appreciate your warm support and encouragement. Thank you. barun technology grew with the Korean IT industry. the different fields of the Korean society. Received an Award for Development of Police Administration from the General Director of the National Police. We want to become your good partner. barun technology grew out of the attention given by our customers. We are always happy to receive a call from you. The contact and email address of the sales representative is as follows. The contact and email address of the technical support representative is as follows. For questions about technical details, please call us at the following phone number.